This past weekend in Paris, representatives from 195 nations committed to limiting the expulsion of greenhouse gas emissions that are warming the planet. That achievement had been unachievable for the past two decades. Not surprisingly, as climate change became more real to citizens it became more real to policy makes. The seminal deal was reached following a long-term shift in public opinion. A recent report from the National Surveys on Energy and the Environment found that 70 percent of American adults now believe there is solid evidence of global warming over the last four decades, while only 16 percent of those surveyed expressed doubt. Yet curiously, less than half of Americans rate global climate change as a major threat. What explains this disconnect and, in spite of the shift the Paris agreement represents, is there a risk we may fail to act in a manner that's commensurate with the magnitude of the issue unless we have a greater sense of collective urgency? Is it possible the answer to those questions may be more psychological than political? In fact, is it possible that the root cause of climate change and our historic inability to respond to it is a direct result of our fundamental alienation from the natural environment? In anthropological terms, our alienation from nature is an aberration. The scholar and historian Theodore Roszak observed that most traditional societies equated reciprocity between the human and the non-human to be the very definition of sanity. They saw madness as an imbalance between the individual and the natural environment or between an entire community and the natural environment. 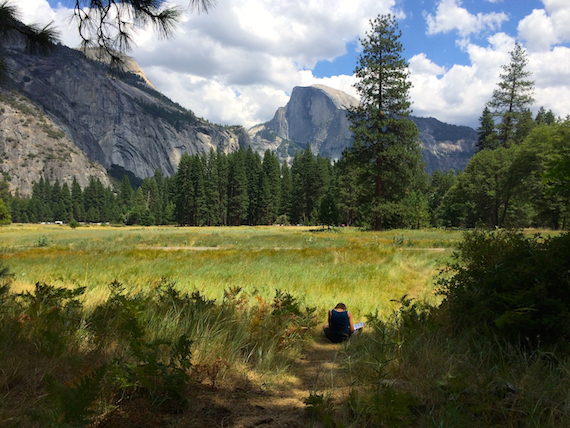 Over a century ago Emerson lamented that "few people can see nature." A century later what we often we see instead is a pixel-rendered representation. We've become a society that spends infinitely more time in front of digital screens than we do outside in nature. This phenomenon is particularly evident in our kids who on average now spend more than seven hours a day in front of an electronic screen, compared to only seven minutes a day outdoors. Equally telling is the fact that in 2013 only 23% of kids between the ages of six and twelve and 19% of kids between the ages of 13 and 17 spent one night camping. And yet, early experiences in nature can have a profound impact on our values while cultivating a sense of responsibility for our country's extraordinary natural inheritance. My life, my worldview and my appreciation for the natural world were deeply informed by my own experiences in wilderness. As a young teen I was thrilled to spend my summers paddling on canoe trips through the boreal forest. Looking back, it's abundantly clear that those experiences shaped the arc of my life and the decisions I make today. My early career was spent sharing my passion and introducing young people to the majesty and wonder of nature. Undeniably, when you have a transformative experience in the natural world something changes. As a wilderness instructor working with Outward Bound, I witnessed it first hand: hundreds of young people awed in the presence of vast wilderness. If you ask any one of them they'll say that the impact of those experiences was indelible. It's as if their psychic need for wilderness and wildness awakened not only their sense of connection with one another but also their innate understanding of their relationship with, indeed dependence on the natural world. Creating opportunities for young people to experience nature can be life changing. But when coupled with hands on science investigation kids not only develop a psychological and emotional connection to the natural world but also an understanding of scientific principles that helps them distinguish fact from rhetoric and myth. It's possible that in this hybrid experience, wherein the wonder and science of nature are integrated, we'll unlock the best strategy for cultivating the next generation of environmental stewards and realizing the full potential of the Paris agreement. Those hybrid experiences exist today in the form of environmental education programs. 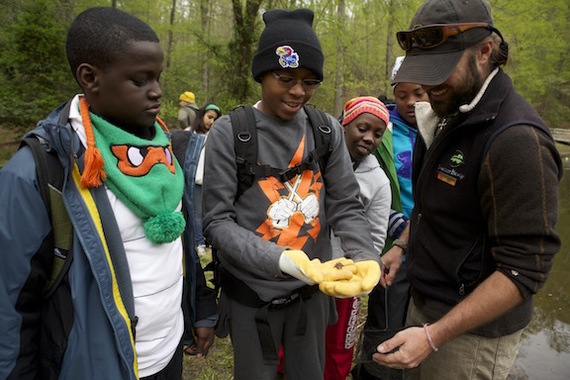 Organizations like NatureBridge, the largest educational partner of the National Park Service, steep middle through high school students in a natural setting where they engage in hands-on, science-rich learning experiences that stimulate intellectual, social, emotional and behavioral outcomes. Teton Science Schools, operating in Wyoming and Idaho, shares a common mission - connecting people, nature and place through education, science and stewardship. Programs like these help fulfill the goals of the Next Generation Science Standards, which were developed by a committee of scientists and education experts to prepare kids to become informed citizens so we can preserve our democracy while giving them the capabilities required to thrive in a global economy. If it is true, as Baba Dioum, the Senegalese forestry engineer and environmentalist said, that "in the end we'll only conserve what we love, we'll only love what we understand, and we'll only understand what we're taught" then we must, at an early age, nurture a relationship with, and understanding of, the natural world. If we do that, perhaps we might care enough and understand enough to make its preservation a priority. About the Author: Ian Yolles is on the Board of Directors of NatureBridge. He has been a Marketing Executive at Nike and Patagonia and before that the Executive Director of Outward Bound.